I originally created this recipe for an appearance on The Dr. Oz Show in a segment about healthier clone versions of popular restaurant appetizers (watch it here). But with two other recipes to demo the segment was too fat and this one got cut. 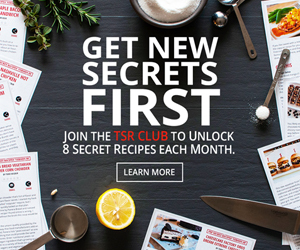 So, I've parked the recipe here on the site for you to use. 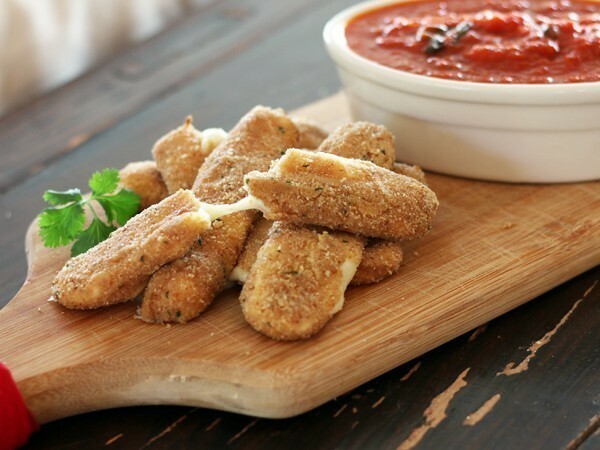 This formula duplicates the taste of Applebee’s Mozzarella Sticks but the fat and calories are cut significantly by baking the sticks rather than using the traditional frying method. Prepare these ahead of time since the sticks have to sit for at least 2 hours in your freezer before you bake them. 1. Combine the milk and eggs in one shallow bowl. Add the flour to another shallow bowl, then combine the bread crumbs, Italian seasoning (crush it with your fingers a bit in a little bowl before adding), garlic powder, salt and pepper in another shallow bowl. 2. Working one at a time, dip each cheese stick into the egg/milk mixture, then into the flour. Dip the cheese stick back into the egg/milk and then into the seasoned bread crumbs until well-coated. Arrange all of the breaded sticks on a large plate and then place the sticks into the freezer for 2 hours. 4. After the cheese sticks have chilled, generously spray a sheet pan with oil cooking spray. Place all of the sticks onto the pan and then spray them with more oil. 5. Bake for 6 to 8 minutes or until light brown. If they start to melt, take them out. Serve with warm marinara sauce on the side.